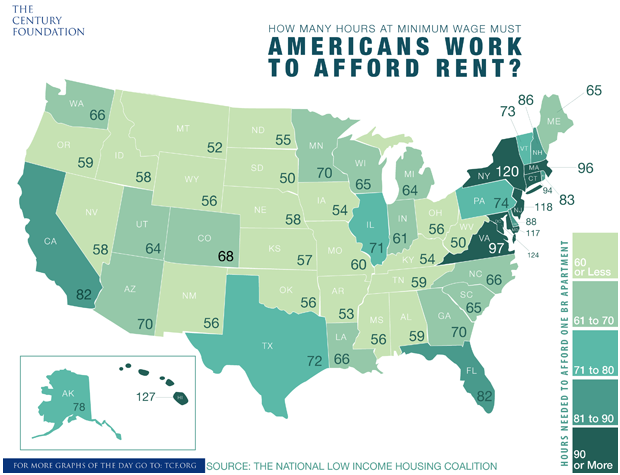 There is no place in the United States where a minimum wage worker working 40 hours a week can afford rent on a two-bedroom apartment. Where the state’s minimum wage is lower than that of the Federal government, or where there is no minimum wage, workers get the Federal minimum wage. The vast majority of states which thereby guarantee the lowest wages allowed by Federal law are in the South– South Carolina, Georgia, Alabama, Mississippi, Louisiana and Arkansas. 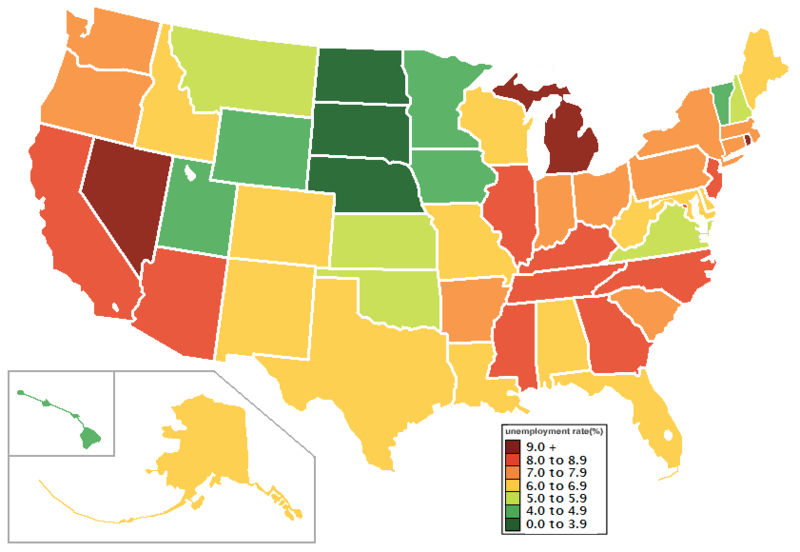 If a low minimum wage created more employment, then these states should be solid green in the second map, at the bottom, showing unemployment rates. 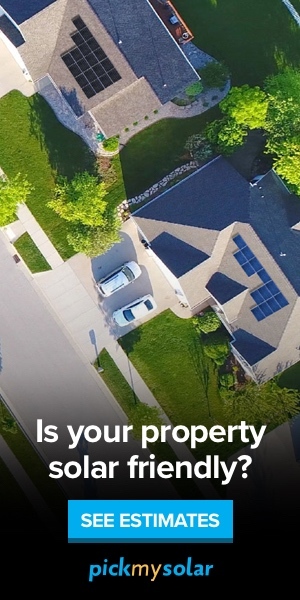 But only Louisiana is, and it has petroleum. (High minimum wage doesn’t always track with high employment, but there lots of reasons for unemployment nowadays, especially the Great Real Estate swindle of 2008 and its aftermath. Economists have repeatedly found that increases in minimum wage often track with subsequent rises in employment). Minimum wage laws by state.